In its quest to help you discover more quality British drinks, DrinkBritain.com is delighted to give you the chance to win some fabulous prizes. Whether it's a tour for two, a case of beer or other fine drinks, rest assured it will be a tasty experience. So have a go – and best of luck! PS To hear about other forthcoming competitions, subscribe to our newsletter and follow us on twitter and facebook. 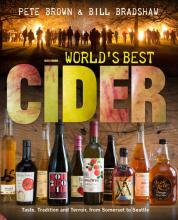 To celebrate the publication of the world's first global cider guide, we're delighted to be giving away one copy of World's Best Cider. Beer was used to treat over 100 illnesses in Egypt, 1600 BC.